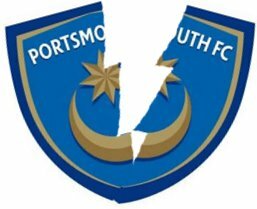 The big breaking news story in football today is not, as I would prefer, Clarke Carlisle going for a three-peat on Countdown, but the long running saga of Portsmouth FC finally giving up the ghost and going into administration. Seems to me this isn’t so much breaking news, as “Is that it? Finally?” – this is a tale that’s dragged on as much as Who Killed Archie Mitchell… and has just about as many suspects. Portsmouth were living the dream at one point, a rich owner, FA Cup winners, Good Old ‘Arry Redknapp in charge, wheeling and dealing – and that was just his tax returns wa-hey! Then this season… it’s all gone down the pan. They’ve had four owners, 2 managers, and countless off field amateur dramatics and distractions. It’s been all go at Fratton Park, and not in a good way. DAVID JAMES can offer hairstyling advice, and draw the results for you! Failing that he can collect sponsorship to shave his hair off. AVRAM GRANT can offer massages. Make your own conclusions about his experience in those matters, please. PETER STORRIE can hold career advice seminars, how to keep a job despite seemingly doing nothing of merit for years. HERMANN HREIDARSSON should try and get a sponsorship deal for the bandages he inevitably ends up wearing at some point in the season. KANU can market a range of comfortable heated cushions, for those long winter nights when you have to sit around doing nothing. TOMMY SMITH can hold motivational speeches on how to achieve the a high level in your career despite not actually being up to it; positive thinking over aptitude. RICHARD HUGHES and other assorted Portsmouth midfielders can challenge local children to games of Hide and Seek at £1 per go. JAMIE O’HARA can sell customised calendars with the day marked down that he can return to the financial security of Tottenham. DAVID NUGENT can simply donate some money and hope that gets his some good karma, and pray on his hands and knees that Burnley want to keep him. Oh and in case you were wondering, as I type this, Clarke Carlisle just lost out by 3 points on the final Conundrum. He walks away with his teapot and his dignity. Maybe he can put the teapot on eBay and donate the proceeds to Portsmouth? The club could start off at the bottom of the pyramid system hardly that terrible. Doubt they’ll go that far, but think a long spell in the Championship beckons at the very least. Previous Previous post: Aerosmith? Meh-rosmith!